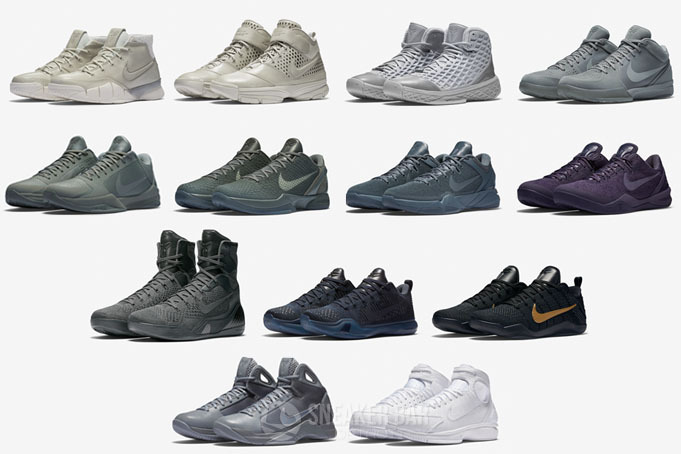 The Nike Kobe 9 EM Premium Collection is set to debut on Friday, September 5th at select Nike Basketball retailers. The collection features three Nike Kobe 9 colorways: Gym Red, Game Royal and Gorge Green. Each pair is designed with a geometric fade pattern on the Engineered Mesh uppers. A speckled midsole with Kobe’s signature on the injected nylon heel clip and Nike Lunarlon midsoles finishes off the build. Check out each pair below and let us know which of the three your looking forward to adding to your collection in the comment section.